You are here: Home » Blog » Douglass Students Celebrate Christmas Reward Party! November 30, 2018BlogComments Off on Douglass Students Celebrate Christmas Reward Party! 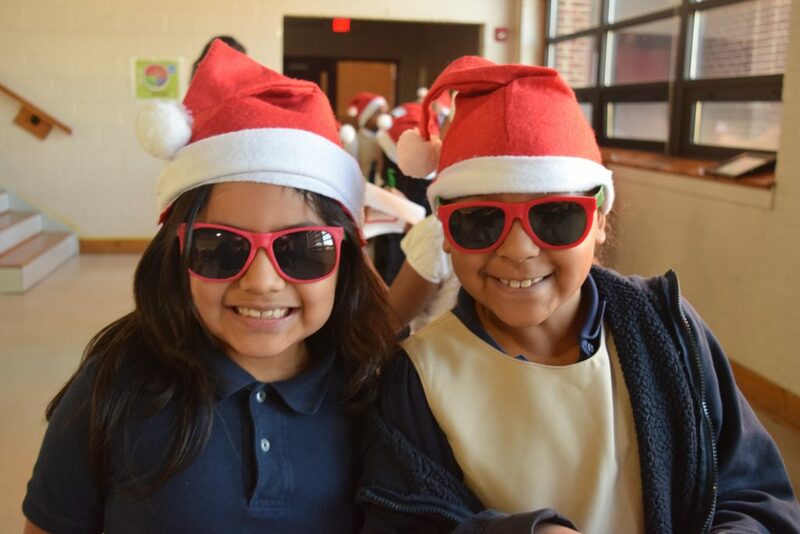 Third grade students Sandra Benitez (left) and Camilla Ayivi (right) get in the Christmas spirit for this month’s Douglass Academy reward party. All students with good behavior for the past month were invited. The event included snacks, cookies, candy, music, and dancing. All participants agreed the celebration was “a lot of fun!”. Nikki Chaney, Headmaster of Douglass Academy, commented, “It was great to see the students get in the Christmas spirit! Douglass Academy rewards students who respect teachers and follow the rules. We make sure good actions are not forgotten!”.